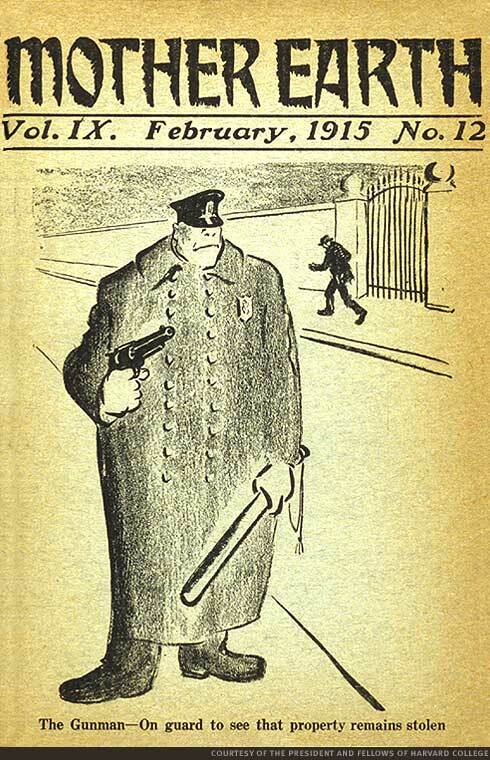 An archive of the famous early 20th century Anarchist magazine. Mother Earth was an anarchist journal that described itself as "A Monthly Magazine Devoted to Social Science and Literature", edited by Emma Goldman. Alexander Berkman was the magazine's editor from 1907 to 1915. It published longer articles on a variety of topics including the labor movement, education, literature and the arts, state and government control, and women's emancipation, sexual freedom, and was an early supporter of birth control. Its subscribers and supporters formed a virtual "who's who" of the radical left in the United States in the years prior to 1920. Mother Earth remained in monthly circulation until August 1917. Berkman and Goldman were found guilty of violating the Espionage Act, and were later deported. Is it just volume 3 missing from this? Or is there anything else missing? Volume three, most of the issues of the other volumes, articles from some of the others and over half the bulletin are lost. Thanks for the info. Are they permanently lost, or are there physical copies in existence somewhere which just need to be scanned at some point? Haven't a clue mate, I've seen covers for issues and vol's out there but no actual content unless you count quotes. More may turn up. I can honestly say this is the largest collection of Mother Earth issues in one place online.